To those of you who know me, personally, this is sure to seem like quite the odd choice. 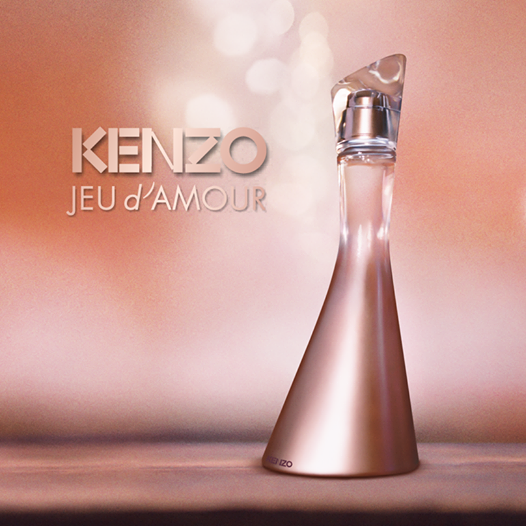 For the rest, let me explain: I have never really been a fan of Kenzo fragrances, which I always found too flowery and girly for my liking. That basically means it’s been forever since I’ve even contemplated stopping by the Kenzo counter to check anything out. This weekend, my friend K. visited from Athens and we arranged to meet for lunch, dessert and a cup of coffee. On our way we, typically, stopped by one of the major department stores downtown to check out a couple of things (she wanted to buy an umbrella, I wanted to find out whether the Max Factor Creme Puff Blushes were in yet). Now, I ain’t got much to say except that this is probably my absolute perfect spring/ summer scent. Combining fruity top notes of blood mandarin & pomegranate with the freshness of tea, flowery middle notes of tuberose and freesia and a sensual base of musks and sandalwood, it smells absolutely heavenly and, once sprayed on, keeps getting better (and better) as time passes. Sure, it’s flowery. Probably too flowery – considering the scents I usually go for but, somehow, it works and I’m obsessed… Cudos to Daphné Bugey and Christophe Raynaud for a job extremely well done! The 30ml bottle is already on my lust (a.k.a. to buy) list for the month to come (I’m already way above my beauty budget for March) and I highly recommend you go check it out too. I have the sneaking suspicion you’ll love it! I actually just tackled the Creative Blogger Award (a couple of weeks ago) & there’s a (very low) limit to how much I can talk about myself, haha… so I won’t do the whole thing over again. I will do a post mentioning you and your blog though, and possibly nominate a couple of people too. Thanks again!